Tyler's attorney sent a cease-and-desist letter to the president Wednesday, a day after the song "Livin' on the Edge" was heard at a Trump rally in West Virginia. It's not the first time Tyler has asked Trump to stop using Aerosmith songs. Tyler sent the Trump campaign two cease-and-desist letters in 2015 for its use of the band's music. Liv Tyler has hailed her father Steven Tyler as a "true inspiration". The 'Incredible Hulk' star posted a sweet message to Steven on Instagram to mark his 70th birthday. CLEVELAND, Ohio – Add Aerosmith frontman Steven Tyler to the list of Rock & Roll Hall of Famers headed to Northeast Ohio in 2018. Tyler and Nashville's Loving Mary Band will perform at the Hard Rock Live in Northfield on June 30. The who will serve as a public benefit for Akron's Children's Hospital. Rocker Steve Tyler is coming to the Sound Board venue at MotorCity Casino Hotel on June 27. Tickets went on sale Friday, and start at $112 for general admission main floor. Seated tickets are $220-$225. Purchase via Ticketmaster by calling (800) 745-3000 or visiting ticketmaster.com. The Aerosmith front man, who turns 70 on March 26, is expected to perform the band's hits as well as songs from his solo country/rock album "We're All Somebody from Somewhere," and some rock and roll covers. LOS ANGELES I was just about to ask Lionel Richie to reveal his true feelings about dancing on the ceiling when we were interrupted by a tap on the pop legends shoulder: Katy Perry wanted to sing. A few minutes later, the two singers huddled around a hotel-lobby piano with country star Luke Bryan for a very loose version of the Jackson 5s Ill Be There. Youre welcome, ABC! Perry boomed after the impromptu performance for roughly 100 cocktail party guests in January. COLUMBUS, Ohio (AP) — Police in Ohio say a veteran officer fatally shot a 25-year-old domestic violence suspect following a confrontation over the weekend. Columbus police on Monday identified the suspect and officer involved in the Saturday night shooting in the city's Hilltop neighborhood. They say 25-year-old Steven Tyler Reed, of Columbus, was fatally shot by Officer Nathan Schwind, an 11-year veteran of the police division. 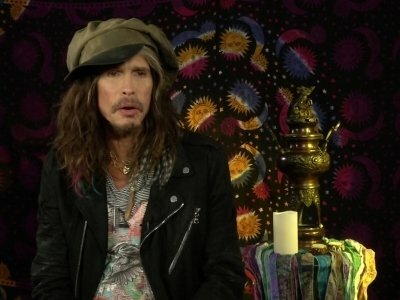 Steven Tyler worried about letting "everybody" down when he cancelled Aerosmith's tour dates. The 69-year-old rock star called an abrupt halt to the iconic band's tour in September due to an unspecified health concern, but his daughter Liv Tyler insists he is "OK" now, but had to take action as his pain from a "little thing" was escalating. She said: "He is OK. It was just one of those things when he had a little thing that needed to be taken care of and he was in pain. Aerosmith frontman Steven Tyler is disputing rumors about his health after an early end to the band's tour, saying he "certainly did not have a heart attack or seizure." The 69-year-old Tyler says in a statement posted on the band's website that he's sorry for cutting the tour short, but he had to have a medical procedure that only his doctor in the United States could perform. Steven Tyler reportedly suffered a seizure in Brazil. The 69-year-old rocker revealed on Tuesday (26.09.17) that his band Aerosmith's final four South American concerts had been cancelled because of his "unexpected medical issues". 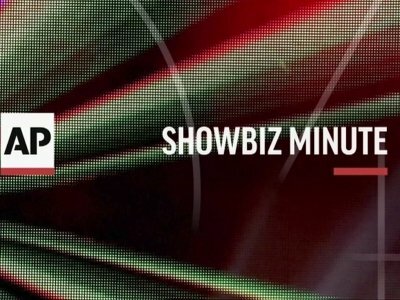 And sources have now told Boston.com the 'Pink' singer had suffered a seizure after the group's show in Sao Paulo on Monday (09.25.17), though it is unclear what caused it, or whether Steven received a diagnosis before flying back to the US. LA DOLCE VITA: After debuting his film “Downsizing” at the Venice Film Festival, Cambridge’s golden boy Matt Damon decided to take a Roman holiday with his wife, Luciana Barroso. The lovebirds were spotted sharing a table at Antica Pesa. Oddly enough, the restaurant in Rome, which is known as a celebrity hot spot, was simultaneously hosting another Boston boy. Aerosmith’s frontman Steven Tyler, who was in the Italian capital to perform at Andrea Bocelli’s Celebrity Fight Night at the Colosseum, was there at the same time as Damon, dining with 10 guests. NEWBURY, N.H. (AP) — A pine forest positioned by one of New Hampshire's most popular lakes that's home to Aerosmith's Steven Tyler and documentarian Ken Burns has become the unlikely battlefront over who can put their boats in its waters. JACKSON, Miss. (AP) — Yeah, Mitchell Binder's folks were worried about him at one time. "Oh, absolutely," he says with a laugh. "But I really went from the black sheep of the family to the patriarch." A Jackson native, Mitchell grew up working at the now-closed Olde Tyme Deli owned by his aunt and uncle, Judy and Irv Feldman. Now he sells jewelry to the likes of Steven Tyler, Usher, Taylor Swift, Rihanna and other musicians and celebrities. THEY’RE READY: They don’t live in a pineapple under the sea, but they wrote for a little dude who does. Aerosmith’s Steven Tyler and Joe Perry are among the stars who composed original songs for “SpongeBob SquarePants,” a Broadway show based on the Nickelodeon cartoon. The rockers behind “Walk This Way” came up with “Bikini Bottom Boogie,” and joined artists Cyndi Lauper, The Flaming Lips, They Might Be Giants, Panic! at the Disco, Sara Bareilles, John Legend, Lady Antebellum, Plain White T’s and T.I. on the songwriting talent roster. What can we say — that sponge is connected. An original cast recording will be released Sept. 22 on CD and digitally, and performances start at the Palace Theater Nov. 6. RING CYCLE: Will Aimee Preston “walk this way” down the aisle with BF Steven Tyler? SHELL-SHOCKED: When you click on Rob Gronkowski's Instagram stories, you never know what to expect. And yesterday, he managed to surprise us again with an animal — but not of the partying variety. Gronk shared a quick video of a turtle crossing the road, stating he was the little guy’s “security.” Sure enough, the tall tight end escorted the reptile to grassy safety, shielding him from an oncoming car. Steven Tyler is "so proud of the beautiful woman" his daughter Liv is. The Aerosmith frontman took to social media over the weekend to wish the actress a happy 40th birthday, where he praised her for being an "inventress" and a wonderful woman. Alongside a series of photographs of his daughter, he wrote: "YOUR MOM AND DAD ARE SO PROUD OF THE BEAUTIFUL WOMAN YOU ARE. YOU ARE AN ((INVENTRESS)) OF IGNITING YOURSELF OVER AND OVER AGAIN. I LOVE YOU SO MUCH! DADDY (sic)"
MUNICH (AP) — Aerosmith may be approaching its 50th anniversary, but its members say the band's not going anywhere. 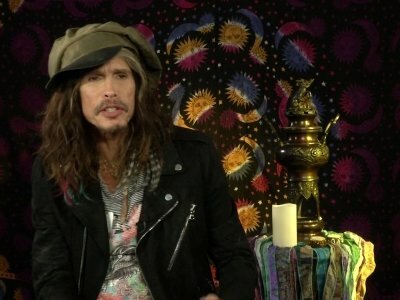 Front man Steven Tyler and Joe Perry both say the band will keep playing. That's despite the title of their tour, 'Aero-Vederci Baby!' — which seems to play on "arrivederci," Italian for "goodbye till we meet again." That appeared to hint it could be a farewell tour for the band after their run of dates in Europe. Aerosmith talk about their love for the U.K.
LONDON (AP) — Aerosmith's Joe Perry says the band's European dates will not be canceled in the wake of Monday's deadly attack at an Ariana Grande concert in Manchester, England. Perry said he initially thought the band should postpone the tour, but then decided that's not what Aerosmith fans would want. Katy Perry is roaring back into the mainstream. The pop singer announced she is the first confirmed judge on ABC's American Idol reboot. Unlike many of Idol's previous "veteran" musician judges (Paula Abdul, Steven Tyler, Mariah Carey), Perry will dole out pop wisdom while actively working in the industry. Her new album, Witness, come out June 9th. Steven Tyler has become a grandfather for the fourth time. The Aerosmith frontman welcomed the newest addition to his family on Wednesday (10.05.17) after his second daughter, Mia, and husband Dan Halen became proud parents to their first child, a son called Axton. Sharing their news on Instagram, the 38-year-old model wrote: "The love of my life has finally arrived and I am now complete. "No words can explain how I am feeling. Just pure unfiltered love. ALL IN THE FAMILY: Although we’ll probably never learn where Steven Tyler gets his fashion sense from, the Aerosmith frontman and his actress daughter Liv trace their ancestry on the ninth season finale of TLC’s “Who Do You Think You Are?” airing tonight at 8. In a short video preview, the 39-year-old mother of Lula, 9 months; and Sailor, 2 (with longtime fiance Dave Gardner) said she was on the genealogy series to learn more about her paternal grandmother Susan Blancha’s side of the family. Boston is getting a major dose of glam next week at jewelry designer Nicole Romano’s Futura Collection for the Anthony Quinn Foundation’s launch party and shopping event. The swanky soiree is set for April 6 (6-8 p.m.) at Seth Greenberg’s French eatery Bastille Kitchen. Rhode Island native Romano makes bodacious baubles, many of which have been spotted on stars such as Sarah Jessica Parker, Alicia Keys, Rihanna, Rita Ora, Blake Lively, Steven Tyler, Kate Hudson and many marvelous more. CINCINNATI (AP) — A man charged with assaulting a Cincinnati police officer responding to a home intrusion is being held in county jail under a $350,000 bond. Thirty-year-old Steven Tyler Manning has been charged with burglary, assault and resisting arrest in connection with the attack around 3 a.m. Thursday. These are the bookings recorded for the Doris C. Gravat Detention Center for Dec. 6. Some names have already been printed and are not included below. Some of the people listed may not have actually spent time in jail if they posted bond and were released. Although those listed have been arrested and charged, that does not mean they have been found guilty. All bookings may be viewed online by visiting www.aikenstandard.com and clicking on the “Crime” tab. ORLANDO, Fla. (AP) — He didn't want to miss a thing. 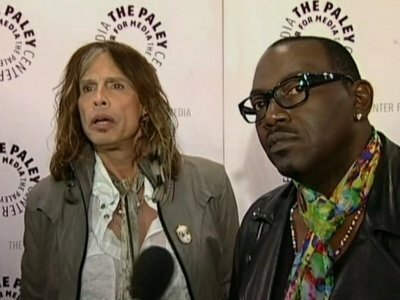 So President Barack Obama invited Aerosmith singer Steven Tyler onto Air Force One for a brief hangout in Florida. White House spokesman Eric Schultz says they met on Obama's plane while the president was in Orlando to campaign for Hillary Clinton. Aerosmith was passing through Orlando. Fans and reporters didn't get a chance to see the two together. 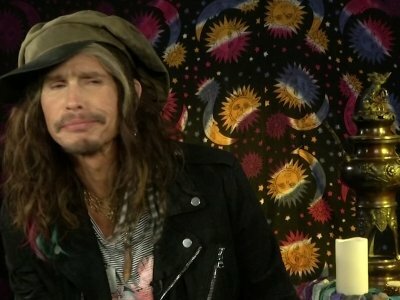 LOS ANGELES (AP) — Aerosmith frontman Steven Tyler isn't giving Disney World a thumbs-up for digitally altering his hand in a video that plays at an attraction featuring the band. Tyler, wearing a hat with an expletive written on it, posted a photo of himself Thursday on social media making the same gesture as he did in the opening video for the Rock 'n' Roller Coaster Starring Aerosmith at Disney's Hollywood Studios in Orlando, Florida. Steven Tyler's gone country. But the Aerosmith frontman hasn't forgotten his rock-hero past. So on his solo tour, he'll play a set that mixes the old ("Sweet Emotion," "Jaded") with songs off his recently released solo debut, "We're All Somebody From Somewhere." We spoke recently with the rocker about Aerosmith and his foray into country. Q: How are you feeling now that this record is finally out? NEW YORK (AP) — He's led the bad-boy rock band Aerosmith for decades, written a book, learned to parasail, and is the father of four children. But Steven Tyler had at least one more goal before hitting 70: his first solo album. "I just thought, 'Instead of (an) Aerosmith album, why don't I just write something here and see what I get?'" Tyler said by phone from his new home in Nashville, Tennessee. "It was something I've always wanted to do." The opening stanza of Steven Tyler's move into country music includes references to Jesus, mama, bullets and whiskey. On paper, those clichés feed those who see the Aerosmith veteran's Nashville embrace as a desperate attempt to stay relevant by finding a musical genre that will accept him. Liv Tyler has welcomed her first daughter, Lula Rose Gardner. The 39-year-old actress posted the news on Instagram on Sunday alongside a picture of the newborn. She writes, "We are sooooo happy," adding, "heart exploding with love." It's the third child for Tyler and her second with partner David Gardner. Tyler has two sons: 11-year-old Milo and 17-month-old Sailor.